Description of "By The Flowing Life………-The lines from my life’s book of poems…"
An anthology of poems composed by the author, Deepa T.R. during her college days have been revisited in this book for the posterity. Delhi post marriage. She taught for a while at the Kerala School in New Delhi. 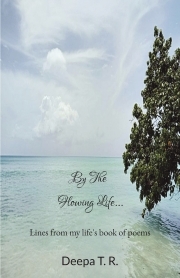 Reviews of "By The Flowing Life………-The lines from my life’s book of poems…"